OCCUPIED is among the most reliable Workout Equipment series around on the market at present. Produced by the NtaiFitness team, OCCUPIED is the perfect workout machine brands for those who wish to get into top physical shape ASAP. The entire product range and a line are aimed at helping to remove the challenges and disturbances when it comes to getting into shape. Free from the frustration of failing to get into the correct shape, this helps to give you the impetus needed to begin improvement. We help to reduce the information that you need right back down to the very basics, ensuring that you can focus on your primary goal: becoming the best that you possibly can be, starting today. We help to improve training mentality and general trains of thought in everyone who uses our systems. This has the net benefit of helping to alter and improve your mentality, ensuring that you are ready to meet every challenge head-on. By helping you to stay focused on that primary goal, OCCUPIED makes the challenge of getting into shape a far less daunting experience. Everything is kept in simple color schemes for easier combination and togetherness, too. it can help to change the mood in the training room not just thanks to the function, but thanks to the format and layout. Freed from distraction, you can start to work on crafting and honing that perfect body as soon as you could possibly need. 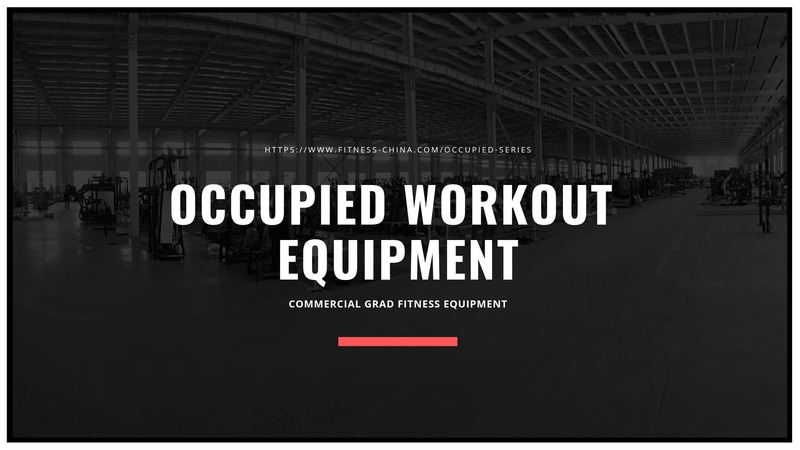 From chest training devices to butterfly machines and shoulder trainers, OCCUPIED workout equipment for sale covers as many different forms of strength training as is possible. just like workout machines for legs, workout machines for the back, workout machines for chest, workout machines for shoulders, workout machines for triceps and workout machine for abs. Now, you can begin to work every muscle and make sure that your rotary training and triceps training can stop feeling like such a daunting, damning experience. For help in making your dream body a reality, OCCUPIED awaits. Discover how it will change forever the way you train.